Last night, before I turned off my bedside light, I listened to my NOAA weather radio/alarm. While listening to the current weather conditions and forecast for the days ahead, I realized (with great clarity) that I really am a geek. I turned off my weather radio and bedside light, snuggling into bed with a smile, fully comfortable with my geekness. My neighbor was in the middle of her morning walk with her two girls. She knew, if anyone could tell her about the weather, I could tell her about the weather. And, I quickly assured her, the radar was clear and she would stay dry during her walk. I also informed her that, though it was cloudy, there was only a 30% chance of rain today. While in school, I was a wallflower. And, while in school, I didn’t much like being a wallflower. However, once I entered college, I found tapping into my confidence and shedding my ‘wallflowerness’ an easier thing to do. I was still different, but I was becoming comfortable with being different. In fact, because I lack subtly, my attempts to be like others seemed klutzy and lacked grace. To this day, if I try to mingle amidst the ‘cool’, I fail miserably. I am not a good faker. Blogary, please don’t take my wallflower snip-it to be full of self-pity and sadness. 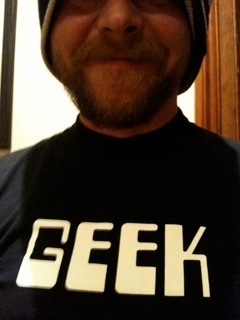 To the contrary, I love the fact that I am a geek. Oh, and I should clarify, the word ‘geek’, as it pertains to me, is defined as “an enthusiast or expert especially in a technological field or activity.” Though I don’t claim to be an expert, I do claim to have an enthusiasm for weather, astronomy, organic farming and . . . ice cream. I also have an enthusiasm for talk radio, which makes me roll my eyes as I type. [Even I don’t understand me, all the time.] As a kid, I remember riding in the car with my Dad. My Dad would turn on the radio, setting the volume loud enough to know the radio was playing but not loud enough to hear what was on the radio. So, though I couldn’t hear what was being discussed on the radio, I could tell my Dad had the radio set to a talk show on the AM radio band. Regardless of the why, during normal business hours, talk radio plays in my house or streams through my laptop. And, while listening to talk radio, I update my Community Collaborative Rain and Hail and Snow Network (CoCoRaHS) account with daily precipitation measurements, monitor the weather via weather.gov and checkout the latest earthquakes tracked by the US Geological Survey. I also check in with NASA and science news. Did you know the Hubble caught images of a planet being devoured by a star? OK, I best get back to my paid gig. 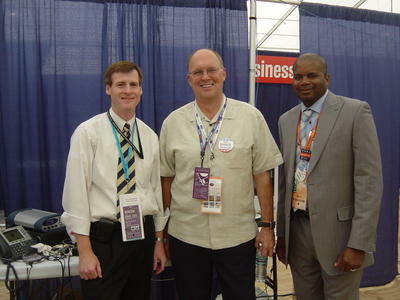 Plus, Neal Boortz’s information overload hour will start soon, and I want to listen to Neal and Jamie talk about today’s political headlines.